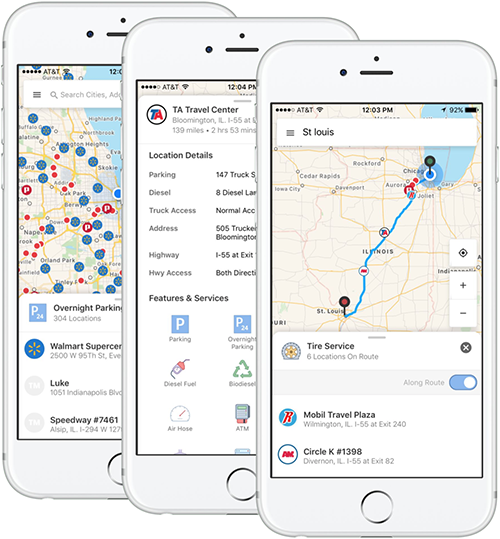 Building the best map app for truck drivers. Product Lead & Senior Front-End Engineer on a variety of mobile, growth/marketing (A/B testing, inbound lead gen, data analytics, churn), SMB, and email products. Built things with React Native, Angular.JS, Backbone.JS, SASS, coffeescript, and ES6. 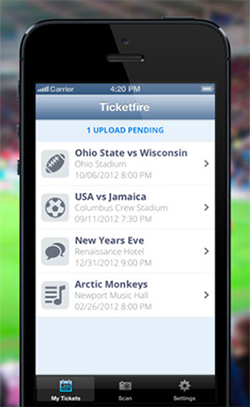 iPhone app that scans paper event tickets into your phone. Patent pending. 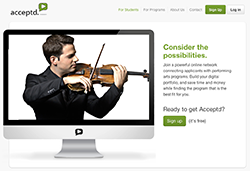 Through Taivara, I was the technical Lead for Acceptd, a platform that manages the student application process for over 120 Fine Arts programs, including Juilliard. Built with Backbone.JS, CakePHP, FFmpeg, and Twitter Bootstrap. 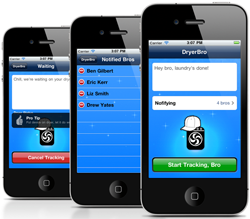 iPhone app built for CSE 772 at Ohio State that alerts you when your laundry is done. 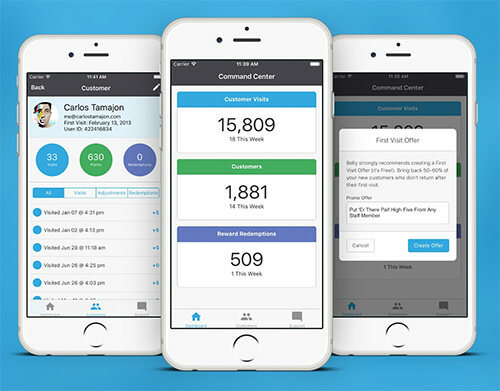 Responsible for iPhone app development and design, marketing website, and Twilio Integration. 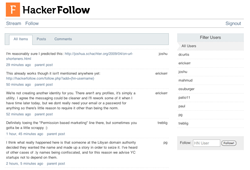 Follow Hacker News users’ posts and comments. Built in 8 hours with @gilbert. A satirical site that generates startup pitches. 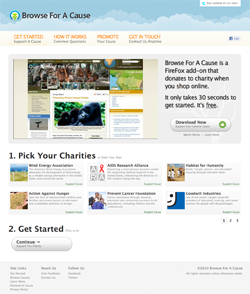 Donates to charity when you shop online. Did all web programming, design, browser plugins, and PR outreach. 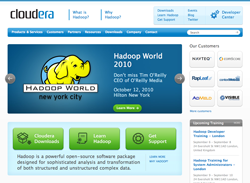 I managed the frontend and backend of Cloudera’s website. Wrote a custom CMS on top of WordPress and managed ongoing conversion funnel optimizations. Worked on Cloudera Enterprise and helped build GUI for Hadoop clusters using Django and MooTools. Wrote analytics and location-based ad platform for iPhone applications. 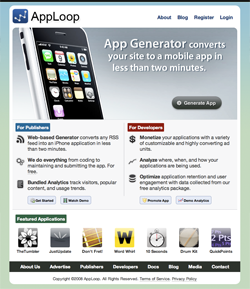 Created iPhone Application generator to convert RSS feeds into an app. Part-time software engineer while in high school. 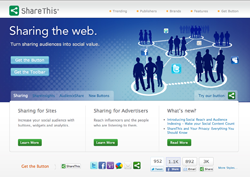 Worked on original browser plugins, wordpress plugin, JS sharing widgets, and website. A file distribution network which mirrors uploads on several other upload websites (MediaFire, Megaupload, Rapidshare, etc) using Amazon EC2. © Eric Kerr. RSS. You should follow me on Twitter. © Eric Kerr. Follow me on Twitter. All original content is licensed under the Creative Commons Attribution 3.0 U.S. License except that which is quoted or attributed to others. You may reproduce or modify this content, but you must provide proper attribution.